Falls are one of the most common causes of death and injury on the jobsite. Training and the proper use of fall protection equipment can help reduce those numbers. Many companies provide fall protection equipment that helps protect their workers from fall hazards. Simply providing the equipment; however, is not enough. Regular maintenance and routine inspection schedules must be implemented and adhered to. Are you familiar with the three components of a fall arrest system?  Connecting Devices, such as Shock Absorbing (also referred to as Energy Absorbing) Lanyards and Self Retracting Lifelines (also referred to as Self-Retracting Lanyard, or SRL's) connect a worker's harness to the anchorage device. 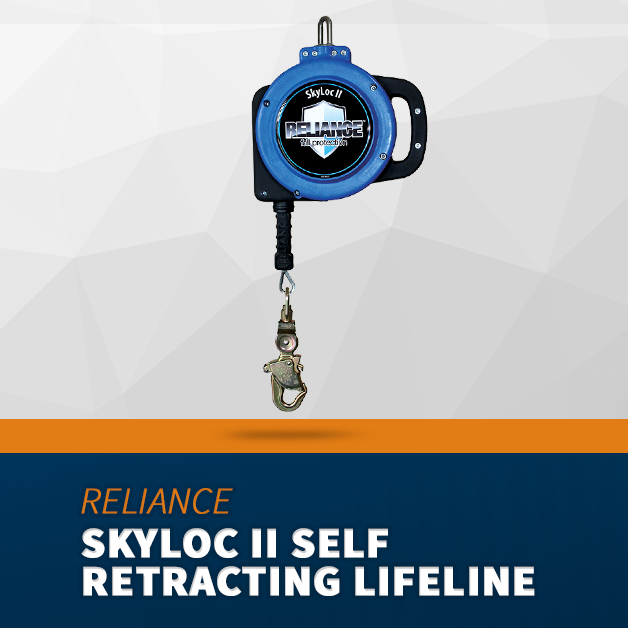 In the event of a fall, the locking mechanism inside an SRL engages and the fall is arrested, typically within 3 feet, dramatically reducing the actual fall distance and the likelihood of a swing fall. As such, an SRL is a great tool for allowing employees to safely work from heights. There is, however, more to it than just the availability and use of the equipment. SRL's are mechanical devices, subject to normal wear and tear and - potentially - the forces generated by a fall and suspension of an attached worker. Regular maintenance is required. It is imperative that devices such as these be kept on a regular inspection schedule as well. 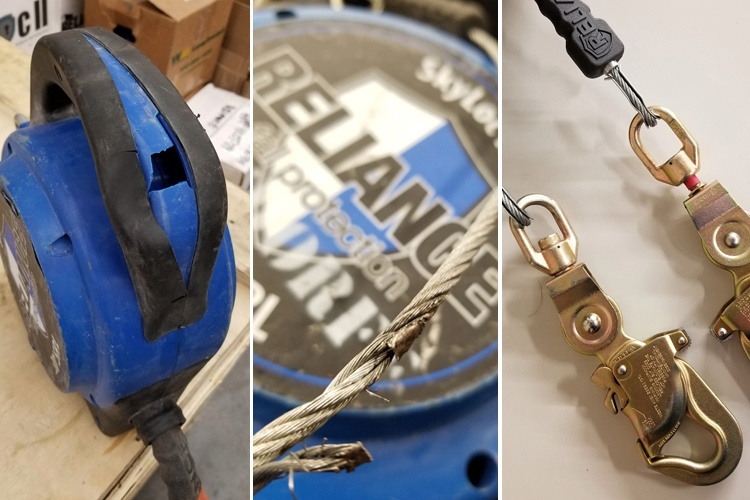 (If you need more info on SRL's check out our informative blog "How to Choose the Right Deceleration Device: Energy Absorbing Lanyards Vs. SRLs"). Maintenance of fall protection is important for a variety reasons. First and foremost is general safety. It is essential that employees use equipment that will keep them safe - every time. Regular inspections help to ensure that equipment is safe to use. Compliance is a factor as well. OSHA requires that fall protection equipment be inspected prior to each use. Annual inspections must also take place - we’ll address that later on in this article. Cost is an additional consideration. When SRL’s are stored properly, inspected regularly, and properly maintained, replacement cost can be greatly reduced. The importance of proper SRL maintenance is clear. The inspection process is critical as well. See below for more. OSHA Standard 1926.502(d)(21) and ANSI Standard 359.2 discuss these requirements. Employees are responsible for inspecting their own equipment. They need to check their SRL for signs of excessive wear and damage. If they find any defects, the SRL must be immediately taken out of service. Inspections can quickly reveal damage that is indicative of the need for recertification. Physical damage to the SRL casing might not render a unit inoperable, but is still cause for removal from service and recertification by the manufacturer. Frayed or broken cable is a common occurence for units that see heavy use, and is also an indication of the need for servicing. The most obvious indicator for recertification occurs when a Load Indicator has been activated. The photo on the right demonstrates the difference between two hooks containing a built-in Load Indicator. The one on the right has been subject to a load with enough energy to activate the indicator (as evidenced by the red band visible at the top of the hook). This device should be removed from service immediately and sent to the manufacturer for recertification. Different types of SRL's are subject to different considerations when it comes to repair and recertification. The StopLite II® (above left) for example is NOT recertifiable. If it is removed from service after an inspection reveals damage, it must be replaced. 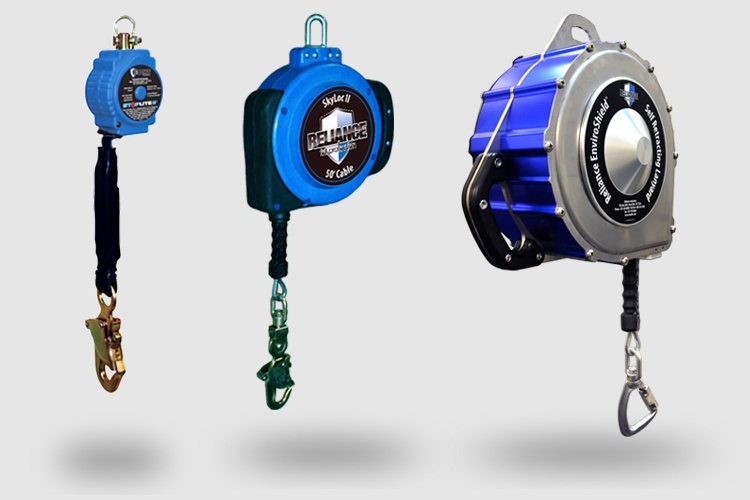 The SkyLoc II™ (center) is designed for use under normal conditions, while the EnviroShield™ Sealed Block (right) is specifically designed for use in harsh environments. Operating conditions are a factor in determining the frequency of both inspection and subsequent repair and recertification. ANSI 359.2 requires formal inspection of all fall protection equipment by a Competent Person. More frequent inspections may be necessary depending on the nature of the work environment, frequency of SRL use, and other manufacturer recommendations. So what is a competent person? OSHA defines a Competent Person as "one who is capable of identifying existing and predictable conditions in the surroundings and work areas which are unsanitary, hazardous or dangerous and who has authorization to take prompt corrective action." A Competent Person is certified as such after completion of a Competent Person training course administered by a certified organization. With regards to equipment inspection, the Competent Person must be someone other than the equipment user. While some companies have an in-house individual who is certified and able to perform inspections, most organizations typically hire a third party inspector. Third-party inspections are beneficial in that they are non-biased, and are performed without factoring in potential repair or replacement cost. Equipment is examined and reports are issued containing recommendations based on inspections, and nothing else. SRL repairs and recertifications are designed to repair obvious damage, such as worn and frayed cable or damaged components. 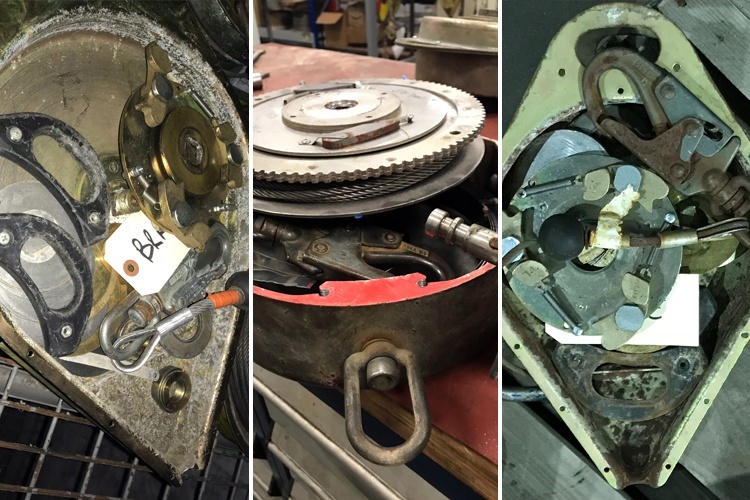 Internal components frequently require repairs as well; returning a unit to the manufacturer for recertification is the only reliable method of ensuring that units are serviced properly and safe to use. Inspections can usually be done on site, but an SRL that needs recertification and/or repair must be sent to a factory authorized repair center. Recertification is the assurance that an SRL continues to meet strict safety and performance standards. Recertification schedules are determined by the equipment owner, but manufacturers typically recommend a specific schedule - usually every 2-3 years. This can vary however, and ultimately the equipment owner must determine and adhere to the recertification schedule. Recertification is an important part of an SRL maintenance program, and is an important consideration for maintaining a safe work environment. Miller explains that the recertification requirements for their SRL products vary from model to model. Click on the link to read their official recertification policy. Reliance has varying certification requirements for their products as well; most of them only require recertification after the unit has been involved in a fall. Use the above link to download a Technical Bulletin that outlines the certification/inspection frequnecy of Reliance products. MSA outlines Service Life and Inspection Frequency Guidelines for Fall Protection equipment in a Technical Brief on their website. Use the link provided above to learn more. Recertification also takes place any time an SRL is sent in for repairs. Repair and Recertification will “reset the clock” on the life of your SRL. There is no established limit for how long a particular piece of equipment can be used; as long as it passes the recertification tests, the SRL is safe for employees to continue using. Be certain that daily and annual inspections are taking place at your worksite. 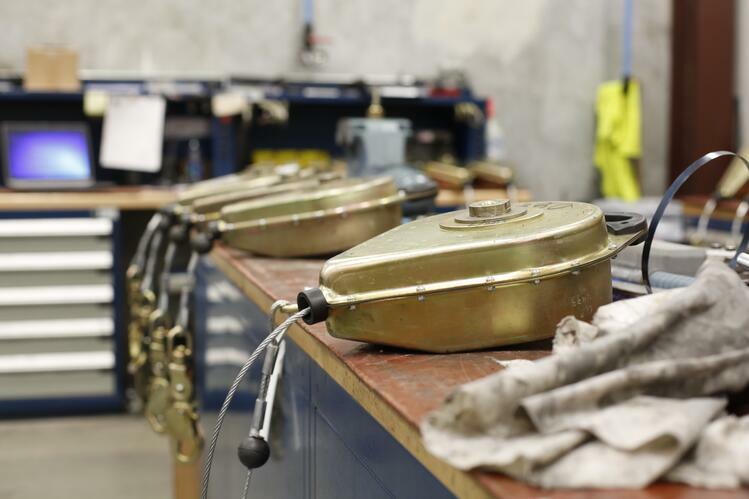 Regular inspections will help you determine when a piece of equipment needs repair. If a product is identified as needing repair, remove it from service, tag them as such, and arrange for repair or recertification as soon as possible. Under no circumstances should employees use equipment that is damaged, defective, or past a recertification date. A reliable service center that handles both recertifications and repairs of multiple brands of equipment can be a valuable resource. Medsafe is a Factory Authorized Repair Center, and is authorized to perform SRL maintenance and repair on equipment from a variety of manufacturers. If you are in need of repair or recertification for Reliance, Miller, or MSA equipment, contact us for details. We’ll take care of the rest. 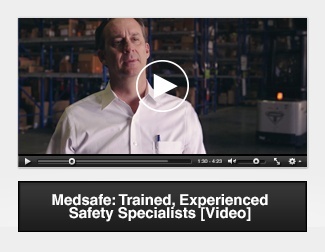 Medsafe is here to help with all of your maintenance, recertification, and repair needs. 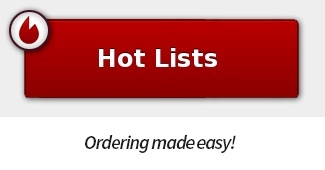 Give us a call today to get started.